Slak is a cloud-based popular team collaboration tool. This is a new kind of messaging for teams, bringing all your communication at one place. 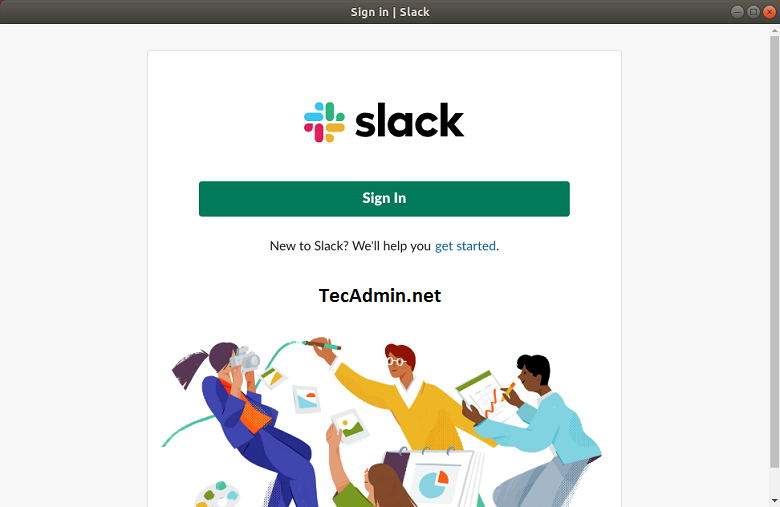 This tutorial will help you to install Slack on Ubuntu 18.04 (Bionic) Desktop system. Download the Slack Debian package from its official download page. Currently, Debian packages are in beta version only. Alternativly you can also use the following command to download Slack Debian package. After that, install Slack on Ubuntu using dpkg package installer utility. Wait for the installation complete. Create a Workspace on the cloud-based slack website. Then launch the slack client on your Ubuntu 18.04 desktop system.